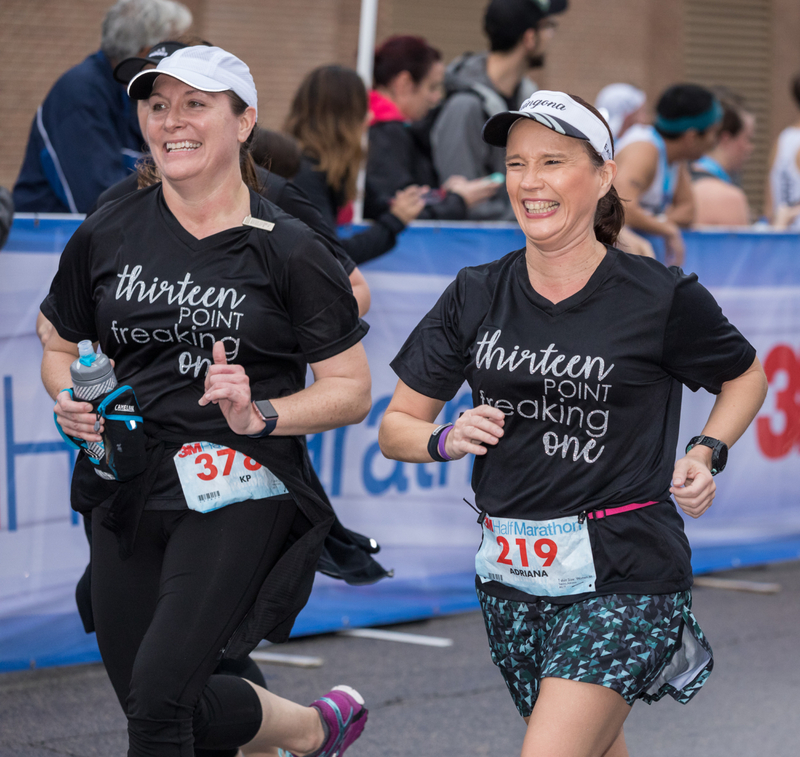 Build your 3M Half Marathon team and make matching shirts! Running with people who are working towards the same goal just makes sense. Training with partners is a great way to keep each other on track and hold one another accountable. Plus, you can design sweet team shirts for race day! Would you rather have one team member pick up everyone’s packet or have the whole team go as a group to soak up the energy of the expo? One good thing about building a 3M Half Marathon team is that you can choose. Love having options! Parties are awesome, but parties are better with people you know. Finish the 3M Half Marathon, kick back with your team at the beer garden, and celebrate your accomplishments at the 3M Half Marathon finish line festival. Who doesn’t like some good ol’ fashioned trash talk? Nothing fuels the competitive juices better than wanting to prove someone wrong! After reading these reasons, why wouldn’t you get a team together? If you realize that you really want to run with a team but haven’t started making one, don’t worry, 3M Half Marathon team registration doesn’t close until Tuesday, December 18th. Get started today! High Five Events (producer of 3M Half Marathon) is a participant in the Amazon Services LLC Associates Program, an affiliate advertising program designed to provide a means for sites to earn advertising fees by advertising and linking to amazon.com at no additional cost to the user.